Oh surely you have heard of that book about the five "love languages", haven't you? Pray tell, say you have! Well, no worries. If you haven't, I am here to inform you of something you may know already - buried deep in your never-rusty heart, which is: according to this book, you speak a language of love to those around you and receive and understand love in that language also. I put the important ones first. Duh. Why are you looking at me like that? Fine. But everyone has their own opinions, you know. So here's the premise and the problem. The book states that you have a primary way of showing how you love someone else. You do this thing to them to show and prove you are sacrificing your very LIFE for them. This is wonderful IF...they speak that love language primarily too. You're filling up their "love tank". If perchance, say, your significant other has a different love language and you're just going all ballistic in the corner on your own opposite-y lovey thing, they're like, "Aw man! My significant other must not love me!" because they're expecting foot rubs and babysitting and you're just over there telling them they're hotter than Matt Damon, Orlando Bloom and Leonardo DiCaprio put together. Raise your hand if you are with someone who "speaks" the same love language as you. Yep, that's how it goes. It makes life more hilarious that way. And challenging. Seriously. 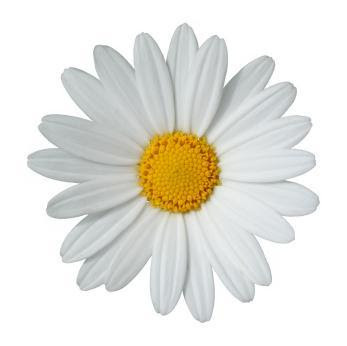 If my hubby came home with a daisy and said he was going to wash the dishes and put them away for me, I'd probably die of love. If he said he was going to wash my car, I'd double die of love. Now wouldn't this be nice if it were reciprocal? Like if me washing his socks made him go into a tizzy of loveness. I agree. But I must tell you - IT DOES NOT. He's all up in my griggidy-grill saying, "Ooh, you're so pretty!" And I'm all, "Please hold this towel and massage the newly-washed glass into a dry frenzy, please." Sorry doesn't put the delicious Triscuit crackers in my mouth, now does it, Karl? Ah, well. Here's a quiz for you to figure out your love language. What'd ya get, huh, huh, huh? It's an interesting idea, certainly. Perhaps if we just work on serving and loving others in general (instead of our pedestaled selves), the world might just spin 'round a little more peacefully. Quiz up - let me know - what's your thang?